I am sure that by now you have seen this all over social media. I have taken a bit of a break from blogging after a big family tragedy and now that I am back I feel I still want to write a blogpost about this competition. If this is on your bucket list I suggest that you get on this ASAP cause the closing date is creeping closer and closer very quickly and so is winter. 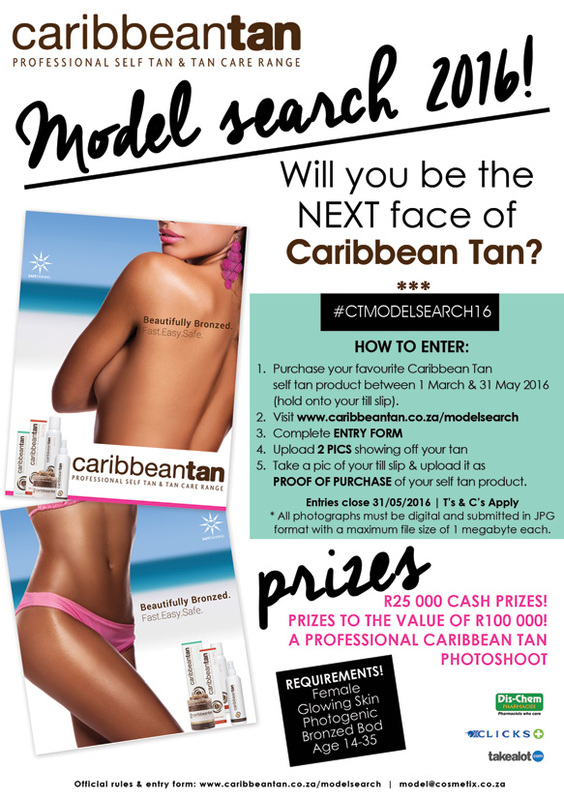 Competitions like this excites me because you do not have to be a model or work through an agency to be recognized. This type of competitions allow anyone a chance to shine and be discovered. I think the procedure to enter is quite simple and easy and the prizes seem awesome. I mean who would not want cash and some goodies to play with. Should you be interested in entering the competition click this link and it will take you to the entry form. If you have any queries or concerns you will find contact details there as well. Also note that this competition is only open to South Africans. This competition closes on 31 May 2016 so you need to hurry up if you want to enter and stand a chance to win the competition. I wish you all of the best if you are entering "and may the odds ever be in your favour"